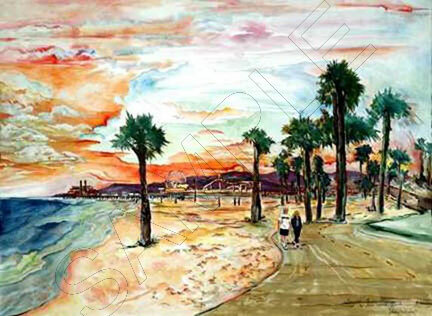 This painting is a composite of the features of our beach. In doing this one I took various elements from different photographs and put them together to complete a vision of the time that Tad and Laura had when they were visiting here. I can do this kind of painting on commission, just send me your photos and I can put them together putting you in the scene.